Inspired by a true story from the annals of 1970s Italian horror film, the story of a struggling actor in 1970s New York who gets embroiled in a movie director’s unthinkable experiment in the Amazon. 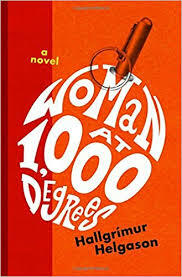 ...[a] canny, funny, impressively detailed debut novel ... Ugo is a fantastically entertaining and unhinged combination of Fitzcarraldo and Ed Wood...It’s too bad, in a way, that the novel requires Ugo himself to be remote or absent for long stretches, for he’s certainly Wilson’s wildest, most idiosyncratic character. But the mystery of Ugo’s vision is essential to the plot ... while the publishers of We Eat Our Own appear to want to position it as (according to its jacket copy) 'a thoughtful commentary on violence and its repercussions,' it is, thank God, no such thing: Wilson is concerned only with detail, with specificity and precision in the moment, and it’s that concern that marks her as a novelist of real substance and promise. The tension of We Eat Our Own plays out in Wilson’s impressive structure. It’s evident there’s more at stake here than an American actor’s career, as the novel brings in transcripts of an Italian court case ... one of the pleasures of We Eat Our Own is its attention to the inner workings of horror films. 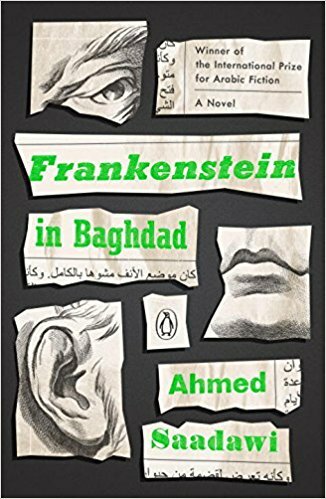 Wilson’s novel is a kind of all-access pass to the movie set ... an exciting, impressive debut. ...second-person can be easy to screw up, but luckily Wilson handles this style like a pro ... The way Wilson is able to spin a sentence and describe violence is akin to a beautiful poem carved into a corpse’s rotting flesh. You will not merely read about the Amazon jungle. You will be transported there ... We Eat Our Own will impress you in numerous ways. From its well-researched horror film history, to its ability to casually weave together multiple storylines. 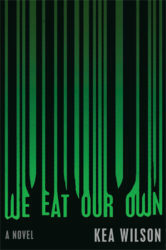 We Eat Our Own should not be a debut novel. It should be the release of a horror veteran. What did you think of We Eat Our Own?